Wheatbelt NRM staff, along with bat enthusiast, Joe Tonga, visited Cunderdin recently to talk to the community about the way bats live, their biology and their importance to the environment. 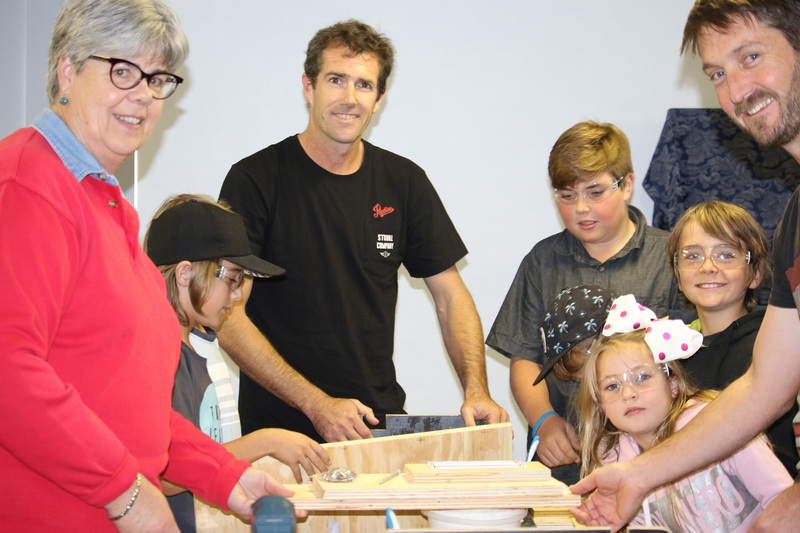 The interactive workshop attracted people from all over the Wheatbelt to the event, learning how they could create a place of safety for microbats, by building specially designed bat boxes that can be installed around their homes. The audience learnt plenty of interesting bat facts, such as microbats can eat around 1000 mosquitos every night. Some bats prefer hollow trees, some like caves and some use both at different times. Many bats shelter in buildings, behind hanging tiles and boarding or in roof spaces. Joe explained that it has taken years for him to design the perfect bat box, but suggested that even if you don’t have one, you can roll up a piece of hessian and hang it from the rafters in a place such as an outdoor shed or sheltered carport to provide a temporary place for bats to roost in. One participant commented, “It was lovely to see children involved and being passionate about nature” and that families thoroughly enjoyed the ‘hands-on’ way in which the workshop was conducted. Many people were keen to transfer the skills they had learnt, to build a bat box of their own at home. The group enjoyed a barbecue dinner and then ventured out on a guided night stalk, including plenty of excited and wide-eyed youngsters all armed with headlamps and torches, to discover what creatures came out to play at night in the local bushland. Community Bat nights have been run by WNRM over the previous two years and continue to grow in popularity.